To watch out for : North Indian temple architecture, South Indian Temple architecture, Durga Temple. We planned for this trip as soon as we spotted a 4 day long weekend. The downside of going to these places was that it wud b hot but then who gets such holidays so often. So armed with sun protection creams we set out in a car from bengaluru. Alternately one can travel here by car from Hyderabad / Goa as well. All three are kind of similar distances. There is a train option also but that did not suit our timing. Road Quality from Bangalore to Badami (the farthest point among the four) is good but there r stretches that are double roads. 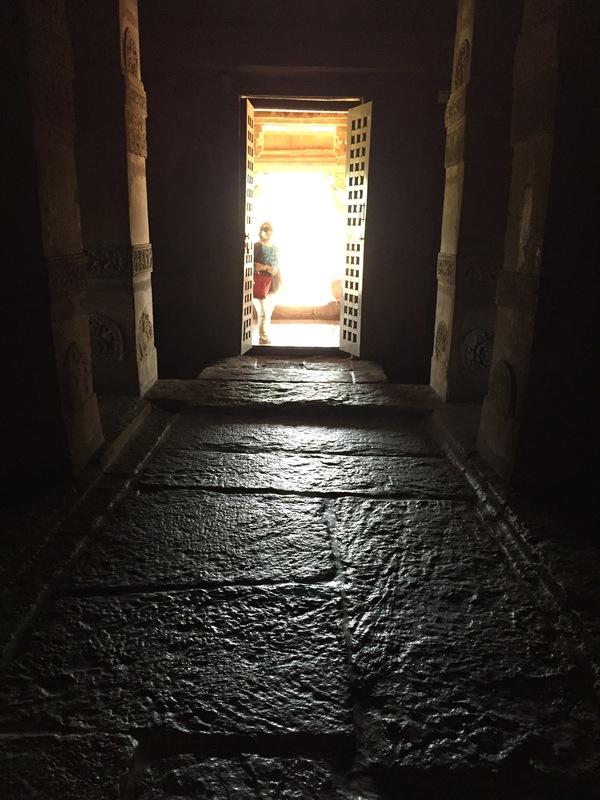 Since we had a flight to catch on the evening of day 4, we decided to do the farthest point (from Bangalore), Badami on day 1 & then the nearest point in day 4. 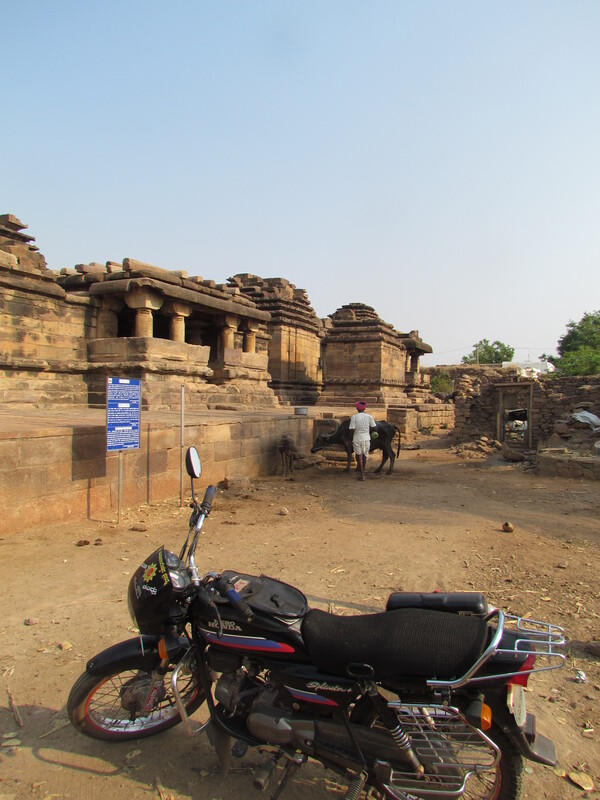 Aihole & Pattadakal r 25 – 27 km from here – so u can stay in Badami for covering those places. In all these locations there r many hotel options but none of them r above 3 star. For people used to staying in 5 stars, it is a good idea to book a suite room in some of the 3 stars – that ensures ‘best among what is available’. In Hampi there r some hotels & guest houses but none of repute / consistently good quality. 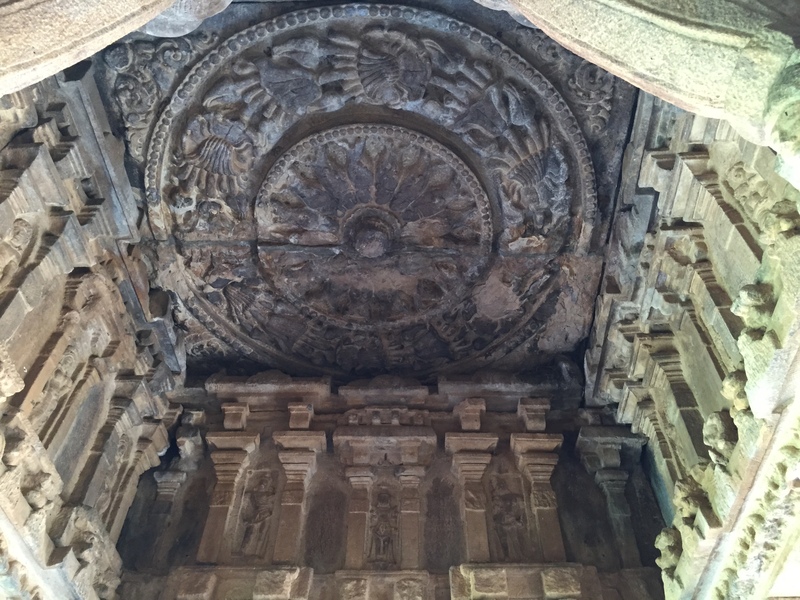 Most people travelling to Hampi stay in nearby town of Hospet which is 15 km away. Local transportation is auto rickshaws & white taxis. 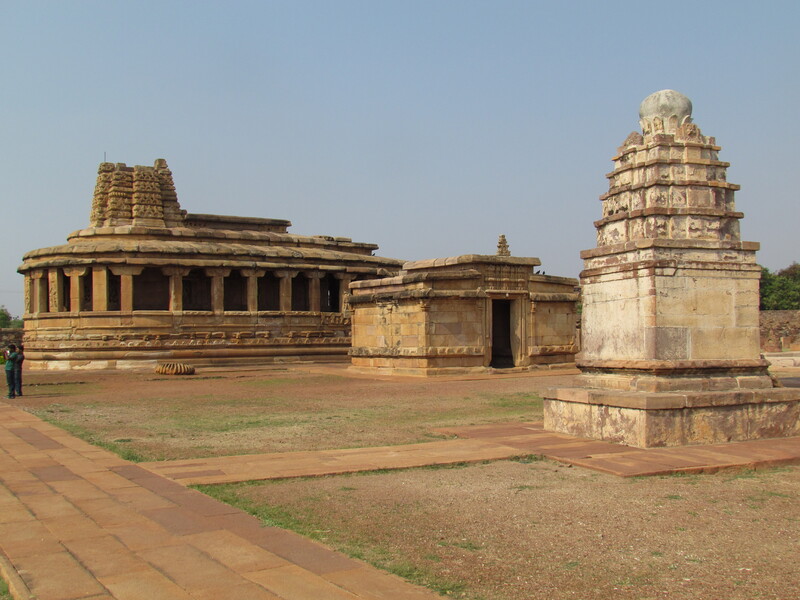 Aihole – For those interested in History, Aihole holds a unique place in the history of Temple architecture in India. 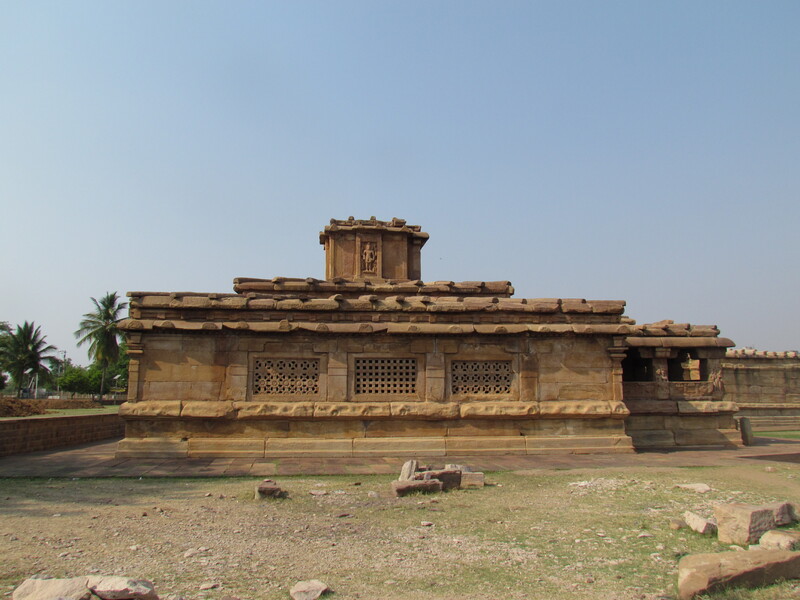 It was the experimenting ground of Chalukyan Kings (450 – 750 AD) to ‘build’ temples from stone pieces. 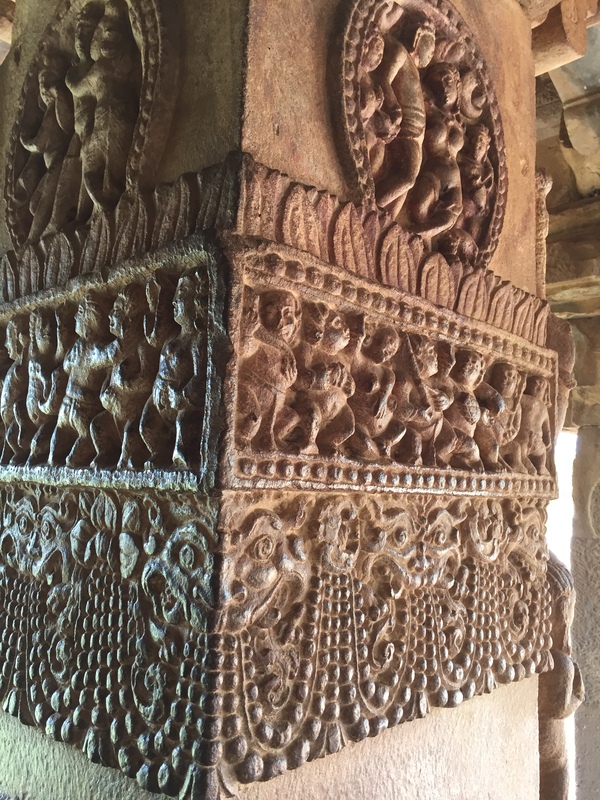 It is here that North Indian style of Temples (like in Varanasi) & South Indian styles of temples came up. Architects from all over India used to visit this place & take part in experiments. 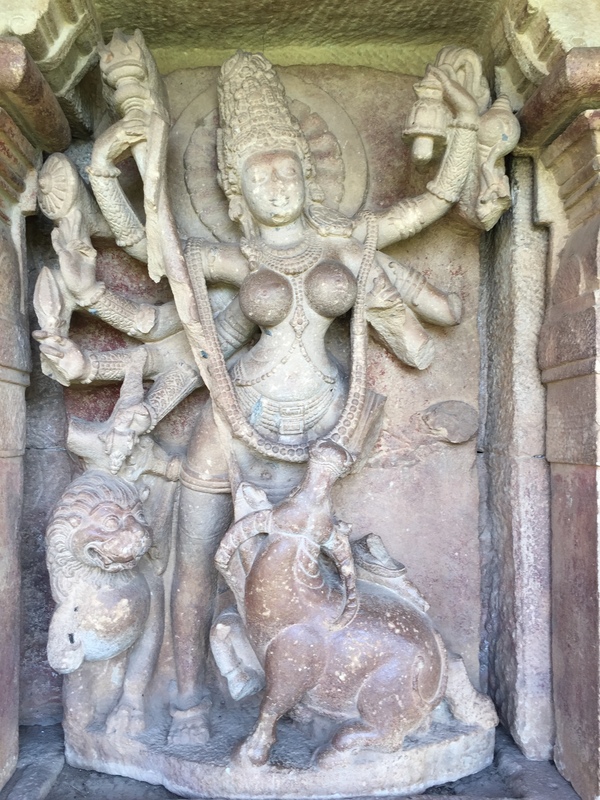 Mahisasurmardini – Godess Durga killing the buffalo faced Demon, Mahisasur. There were the equivalent of architecture schools, colleges & universities. There r small structures that were built b4 building a large temple of the same shape. There were buildings that were very basic, and then there were buildings that were masterpieces. There were basic figures & then there were mind blowing ones. 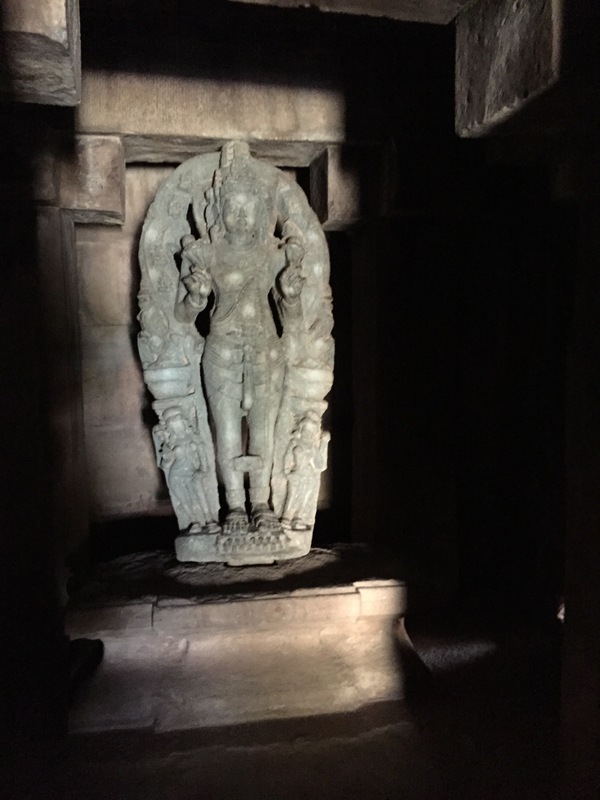 In the same temple there were 4 pillars with different levels of sophistication in terms of skill. 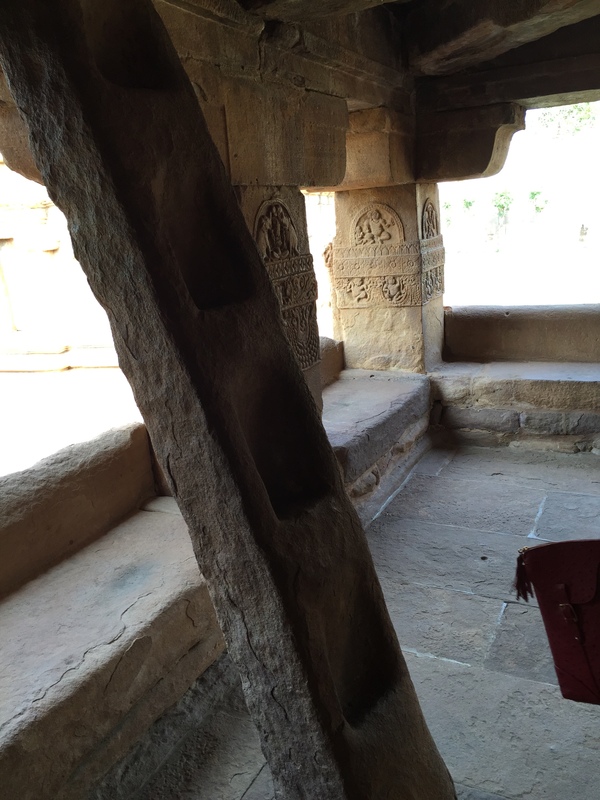 A ladder made from stone!!! Now u must b thinking –what is it that they were trying to learn? They were trying to learn & then master techniques of how heavy rock pieces cud b laid one on top of the other & be made to stand. They were also tring to figure out how to make permanent roofs from heavy stones. 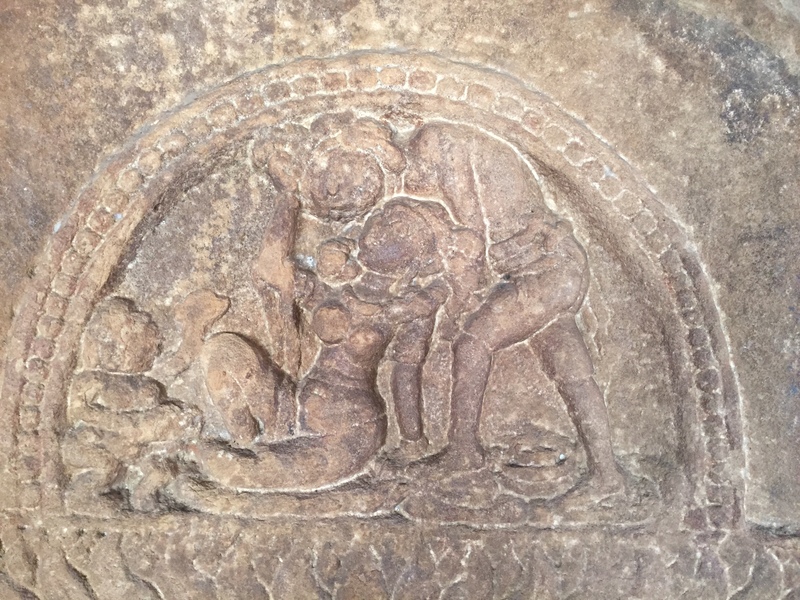 On top of tat they were obviously working on stone types, which stone is stronger, which can last long, which ones are easy to cut, which ones enable better design intricacies etc. Both North Indian Style of temple & North Indian style of temple can b seen to co-exist in the same campus. A typical North Indian Temple usually has 3 parts – The inner most part is Garbhagriha (sanctum sanctorum) where the idol was kept. A single unit Shikhara (kind of squarish conical dome) was constructed above the Garbhagriha. 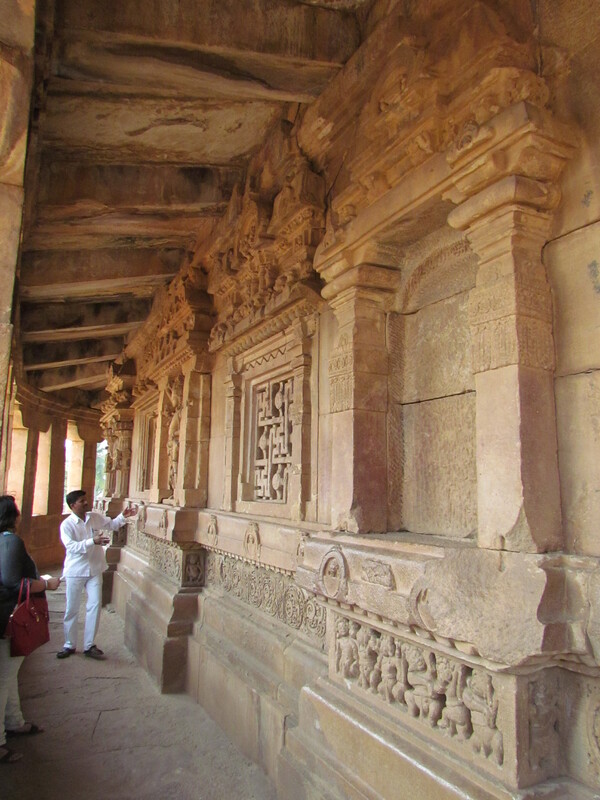 a Sabha mandapa , A sabha mandapa (Assembly hall) & an Mukha mandapa (verandah near the entrance). Some temples also have a Maha Dwara (Entrance). 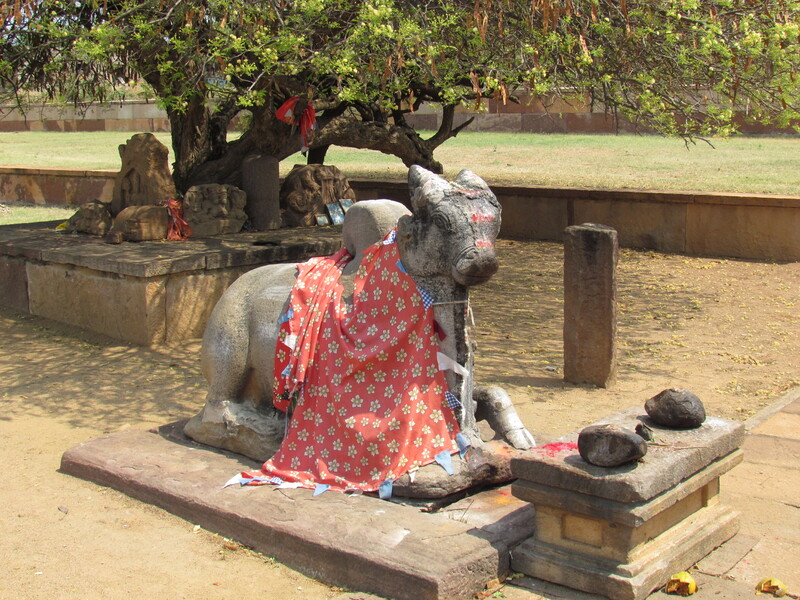 Shiva temples have an additional Nandi Mandapa (A place for Shiva’s vahana – Nandi the bull). A typical South Indian temple has multiple floors above the Garbhagriha , that r hollow & accessible. Those floors usually have intricate carvings. 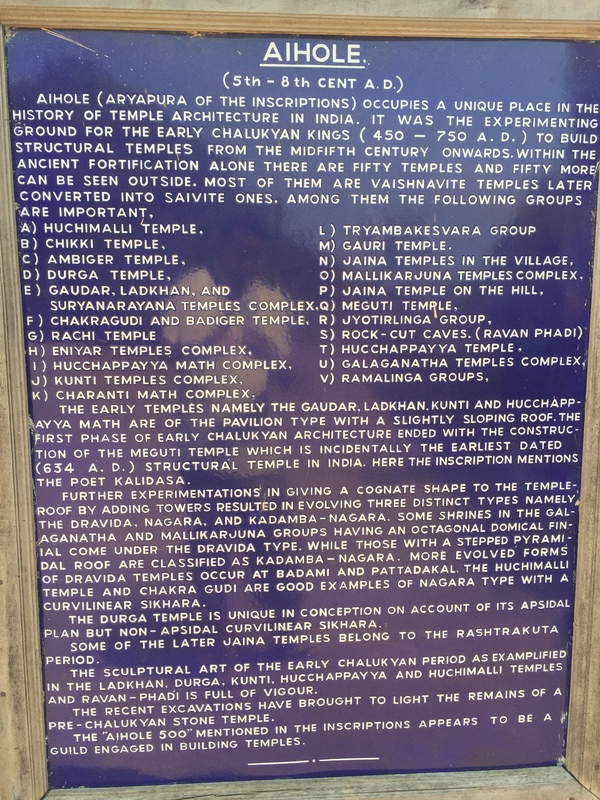 Initially many of the temples were Vaishnavite temples. 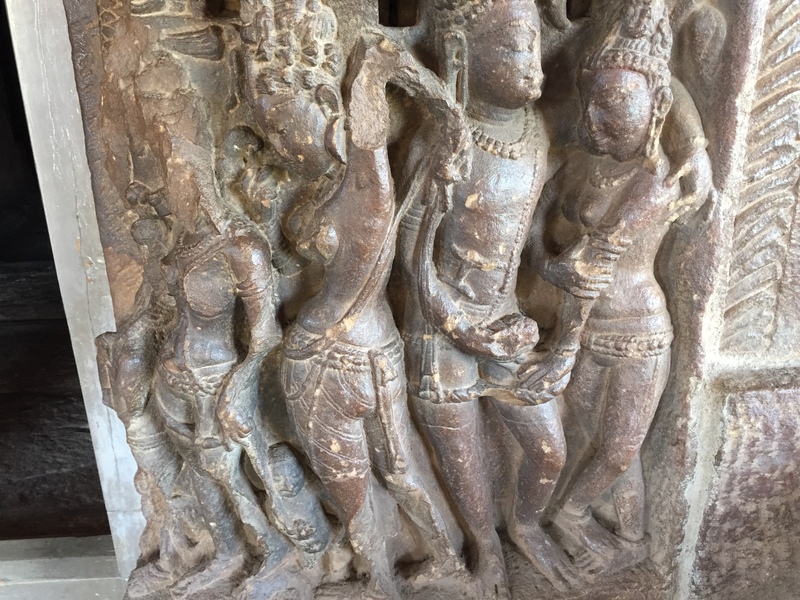 During later rulers many of them were converted into Shiva temples. 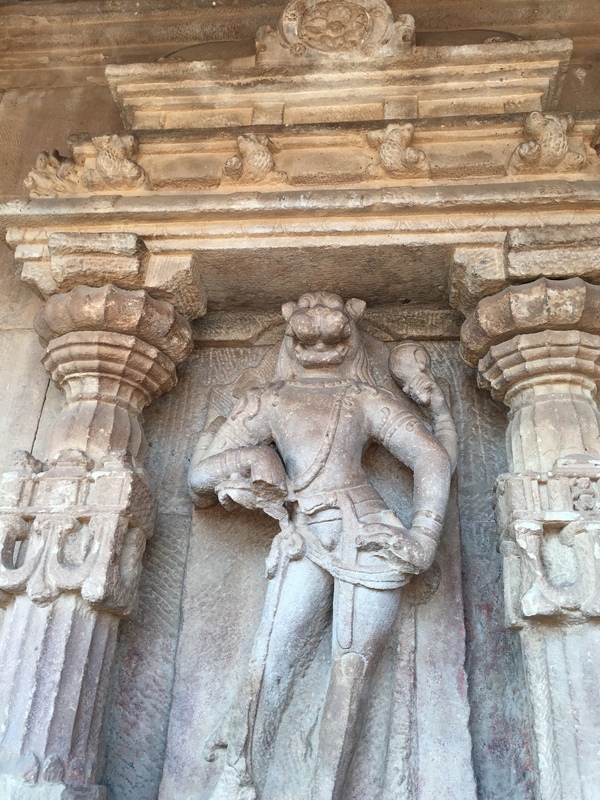 During the Vaishnavite period many of these temples had an idol of Vishnu’s carrier Garuda but later when these got converted, Nandi the bull’s idol was added. 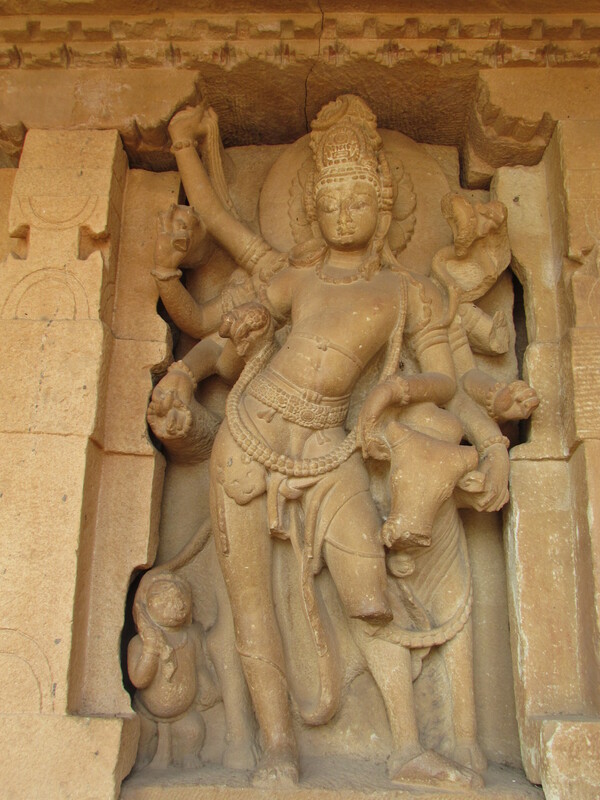 (Nandi was Shiva’s carrier). 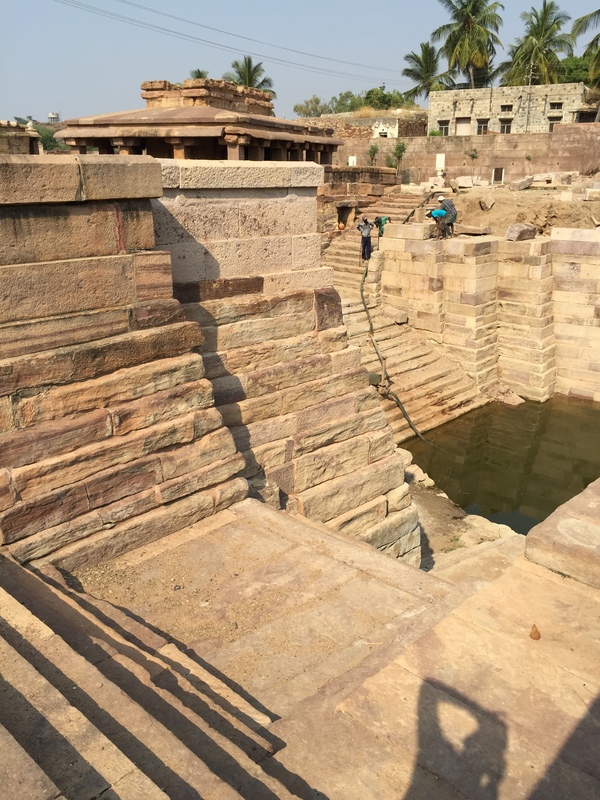 There is a big baoli (step well) in the campus as well. 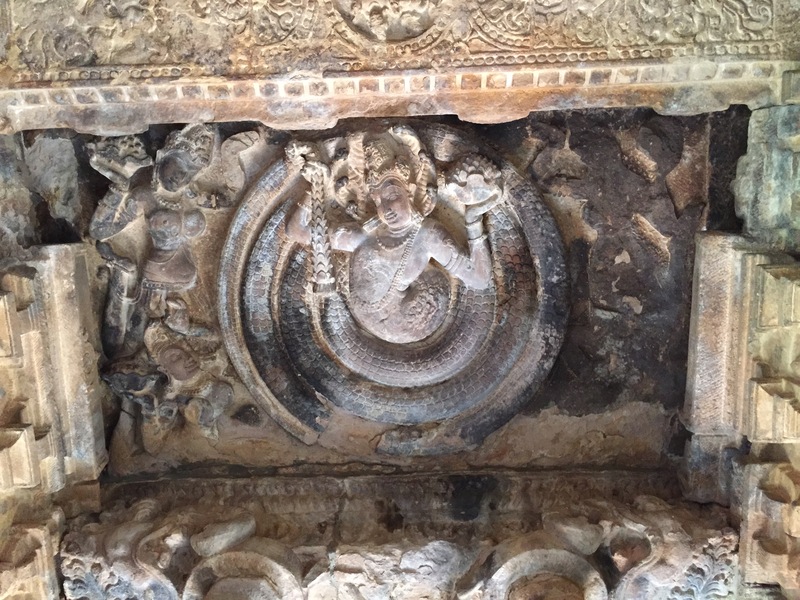 The temple complex is beautifully maintained now & ASI is still carrying out restoration work. However a century & half back it was in total despair. Local tribes & poor people from the adjoining villages used to stay here. So when the British archaeologists/ their clerks came to inspect the area, they found families staying in these temples. They were cooking inside as well, thus harming the 1500 year old structure. The British clerks asked the then inhabitants the name of each temple & that got recorded in the official records. Really funny examples – A temple named Lad Khan Temple. How is it posible? Coz some Mr. Lad Khan and his family was staying there & the British clerk thought that was the name of the temple!!! The temple area was fortified. So it was called Durg (means fort). During the recording process, it got recorded as Durga temple. Durga is a Godess & the temple is a Vishnu temple!!!! Durga Temple in background, a small experimental South Indian temple in the middle & a small North Indian temple in foreground. The most striking temple I found in the campus was the Durga temple. It had a distinct look. 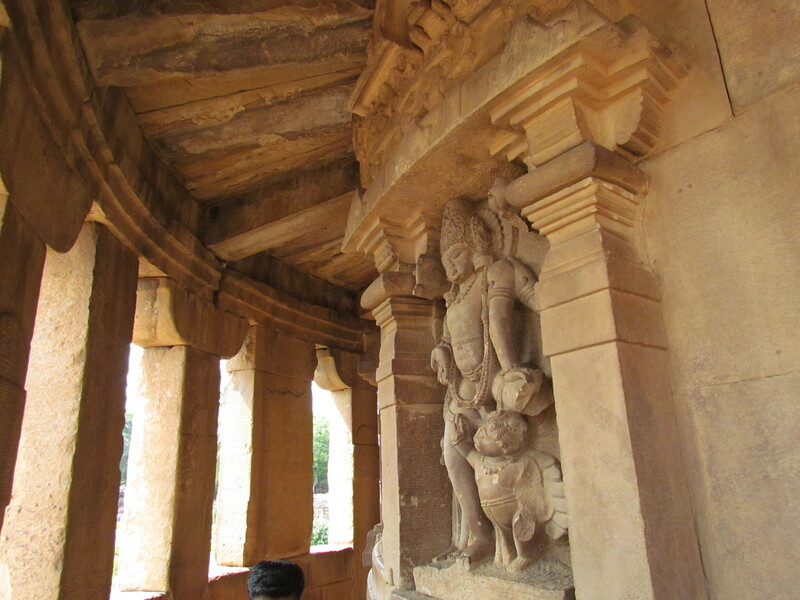 It had an external round shaped ‘parikrama’ walkway & it was full of beautiful stone carvings of gods & goddesses. Construction of Parikrama – stone blocks placed one on top of other, interlocked. Idol of Vishnu & his vahana – Garuda the bird. 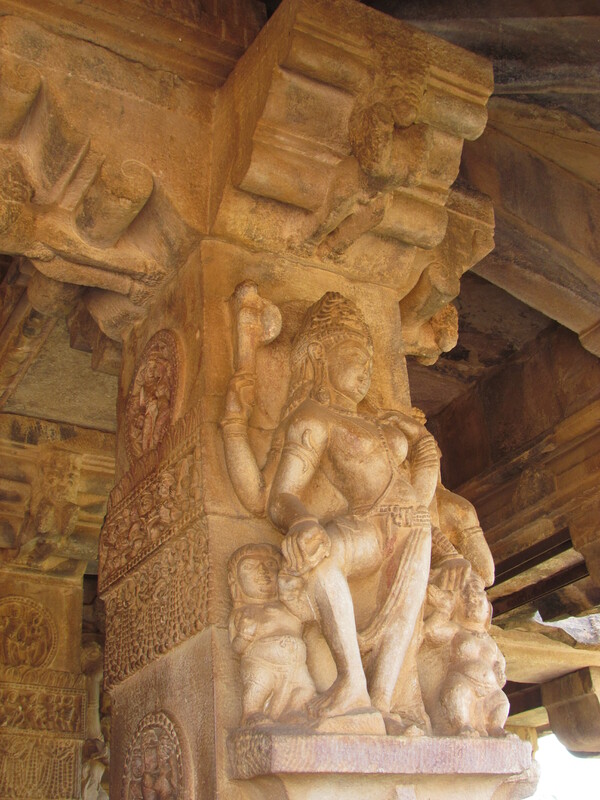 I cud not but stand for a long time admiring the skills of the craftsmen who created such images out of stone. It is a good idea to go with a ASI approved Guide. Without a guide u will not get the stories & detailing at all. 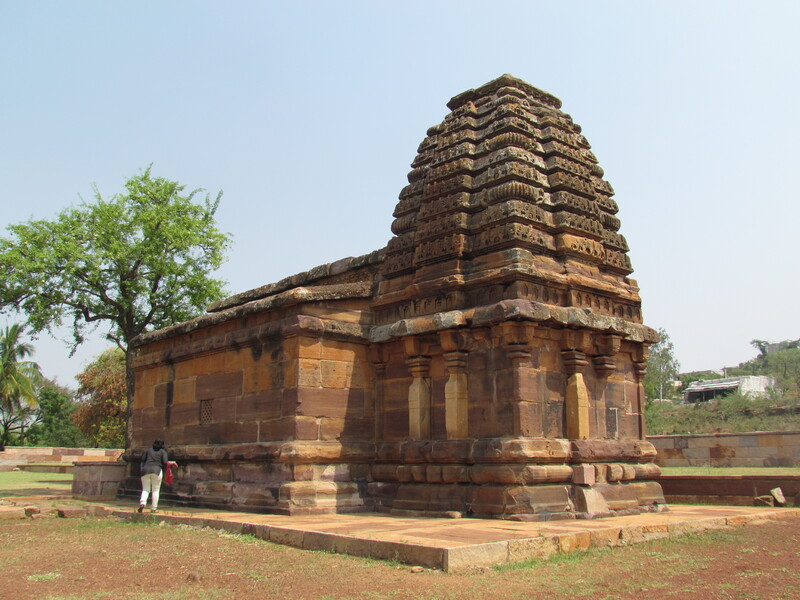 I visited Aihole on 24.10.2015,but only got opportunity to visit the main temple complex of Durga Temple.Can you mention the names of other temples in this complex besides Durga Temple and Ladkhan Temple? Your kind cooperation is earnestly solicited. Dear Dr. Pal, there were many small & large temples made in north Indian style as well as south indian style. Some were half made. Some were experiments. I do not remember any more names.